1 Mix ground pork, carrots, chopped celery and bell pepper together, season with black pepper and Knorr SavorRich Pork Liquid Seasoning. 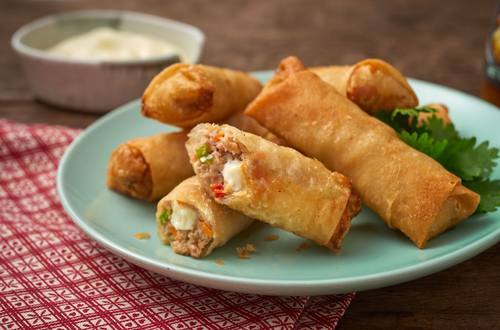 2 Scoop around 1 to 1 ½ tablespoons of filling and place over a piece of lumpia wrapper, add sliced cheese on the side and then fold both sides of the wrapper. 3 Heat oil in a pan. Deep fry lumpia in medium heat until it floats.